can anyone give a brief summary of dark deleuze? or any refs? 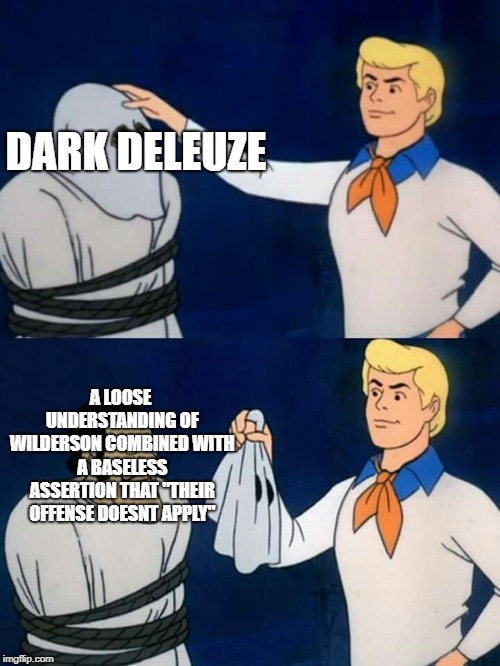 Basically you take everything Deleuze advocates at the ontological level - infinite potential, a world always in flux, content and expression, abstract machines - and you replace it with a loose understanding of wilderson combined with a baseless assertion that "their offense doesnt apply".